Don’t open the playground — teach Dartmouth students how to play fair. I was particularly intrigued by the editorial since the Board referred twice to what Dartmouth was like fifty years ago. Since it was fifty years ago this fall that I headed off to join the Class of 1972, I wanted to add my two cents. I agree that in 1968, Dartmouth was a playground for the privileged. My all-male class was geographically diverse but largely white. If that same privilege is perpetuated today, and if it is a problem, it’s one that afflicts all highly selective U.S. colleges and universities. Dartmouth’s privileged playground is shared by Harvard and Stanford, and at least fifty other schools. Indeed, allowing for a few non-substantive changes, the May 11 editorial could have been written about the Dartmouth I attended a half century ago or any of those other institutions, both then and now. But here’s the rub. As the editorial suggests regarding Dartmouth, all the elite colleges are trying to diversify socioeconomically and have been trying to do that for many years, albeit largely unsuccessfully. Why? Because the most accomplished high school students, who are coincidentally the most motivated to attend elite universities, generally hail from a narrow socioeconomic range. As a long-time public high school teacher in a blue-collar city, I rarely encountered students who had academic credentials that would qualify them to attend Dartmouth. On the other hand, many of the upper-middle class students I taught at a parochial high school did have the qualifications to attend Dartmouth. 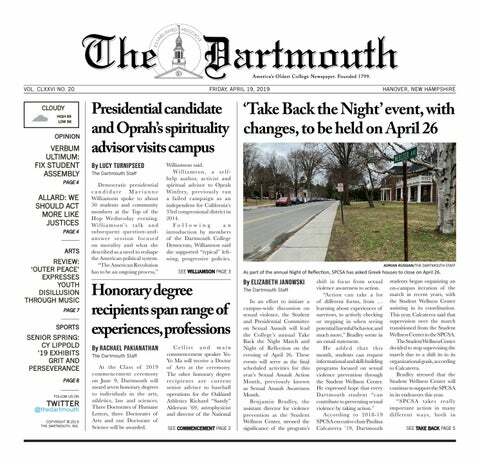 I don’t believe two of the editorial’s proposed solutions to change Dartmouth are realistic. Asking students to think critically about how their actions perpetuate segregation may cause students to be more aware of their behavior, but is unlikely to change it. As the Board writes, it is natural for people of similar backgrounds and identities to gravitate toward each other. Another suggestion from the editorial is that there should be greater effort by the Dartmouth administration to admit students on criteria other than what applicants have accomplished. The idea is that Dartmouth admissions should gauge “students’ willingness and potential to grow as human beings.” While that is possibly an okay sentiment in the abstract, unless Hogwarts is willing to donate its Sorting Hat, it’s a dangerous slope in a treacherous playground. Over ten years ago, Malcolm Gladwell wrote about the problem of selecting quarterbacks for the NFL based on potential rather than accomplishment. Gladwell pointed out that even though a great deal of money was invested in the process and the best football minds were appointed to the task of selecting the recruits, the experts still misfired on selections about half the time because the skills required to succeed at the professional level are so different from those needed at the college level. Subsequent great quarterbacks were overlooked and prototypes that fit the perfect model turned out to be busts. As Gladwell wrote about the latter group, they entered the NFL with great potential and left the same way. The best gauge of future performance is past performance. I’ve learned from having had plenty of rejected op-eds that if one criticizes an editorial, one should be prepared to offer an alternative. Here is mine. Dartmouth shouldn’t make anything other than incremental changes in admissions policy. Hanover should remain a privileged playground for many years. But as benefactors of that privilege, students might remember some important words from Bill Gates’s 2007 Harvard Commencement address. Gates’s mother exhorted him as she was dying of cancer: “From those to whom much is given, much is expected.” From day one, it should be drilled into Dartmouth students that while they have the privilege and security of playing in a gilded cage for four years, that privilege entails a responsibility after leaving the cage. Mattimore is a member of the Class of 1972.